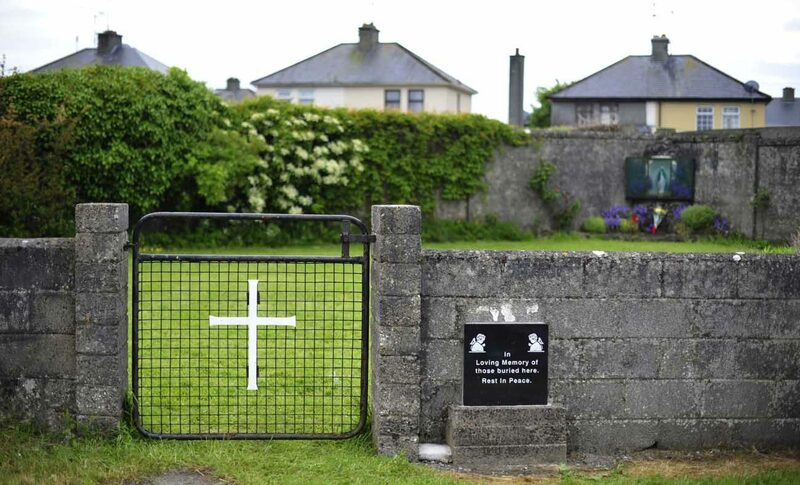 DUBLIN (CNS) — The Irish government has approved a forensic excavation of the site of a former state-funded, Catholic-run mother and baby home in the west of the country. Katherine Zappone, minister for children and youth affairs, announced the excavation Oct. 23. “I am committed to ensuring that all the children interred at this site can have a dignified and respectful burial,” she said. Significant quantities of human remains were found in 2017 in Tuam at the site of a home run by the Bon Secours congregation of sisters from 1925 to 1961. A Commission of Investigation was established following research by a local historian, Catherine Corless, in which she claimed that 796 infants had died in the home and been buried in an unmarked grave on the site. Death certificates revealed that the children had died of infectious diseases and malnutrition, but that the rate of death was significantly higher than the national average for the period. The case made headlines around the world and generated significant international interest in how unmarried mothers were treated in Ireland by the church and wider society. The commission carried out an initial assessment of the site in 2017 and said significant quantities of human remains were discovered in at least 17 of 20 underground chambers that were examined. Zappone described the approval as an important decision for all connected to the Tuam site. She had raised the issue with Pope Francis during his Aug. 25-26 visit to Ireland, handing him a letter asking for the Vatican to provide funding for the commission’s work. “I hope the church will make reparation for its part in this shameful chapter,” she told Pope Francis during a brief exchange. After the meeting, the pope acknowledged at a state reception at Dublin Castle what she had told him, saying the minister’s words were echoing in his ears. Zappone said the Bon Secours congregation has offered to pay more than $2.8 million toward the estimated $6.8 million to $14.9 million cost of the excavation. The Tuam Babies family group has welcomed the decision by the government to allow the excavation. “This is an exceptionally important decision and will pave the way for all the other mother and baby homes, and the lost children of Ireland,” the group said in a statement. “We want all of the children found, if they are not in the grave, where are they? All of the children must be found and we would like to see a full excavation of the entire site as we believe there are many graves in the area, not just at the site we have all come to know,” the statement added. There was no immediate reaction from the Archdiocese of Tuam. However, speaking in 2017 when the commission first reported finding human remains, Archbishop Michael Neary of Tuam apologized for the hurt caused by the church in dealing with unmarried mothers and their children in Ireland. He said he was “horrified and saddened” by the revelations. “It was an era when ‘unmarried mothers’ — as our society at the time labeled women who were pregnant and not married — were often judged, stigmatized and ostracized by their own community and the church, and this all happened in a harsh and unforgiving climate. Compassion, understanding and mercy were sorely lacking,” he said. The government announced that remains found at the Tuam site will be separated and where possible identified, and arrangements made for dignified reburial. During the 19th and 20th centuries, so-called mother and baby homes — often run by orders of women religious — were common in Ireland. Girls and young women who became pregnant without being married were sent to such homes, often by their families but sometimes by court order. Many former residents reported cruel and degrading treatment and there have been allegations of children being adopted against the wishes of their mothers. Campaigners for decades have called for investigations and redress.